As stadiums filled across the country it was time for an abundance of action to begin. The Barclays Premier League rolled on with more than the usual dosage of thrills. 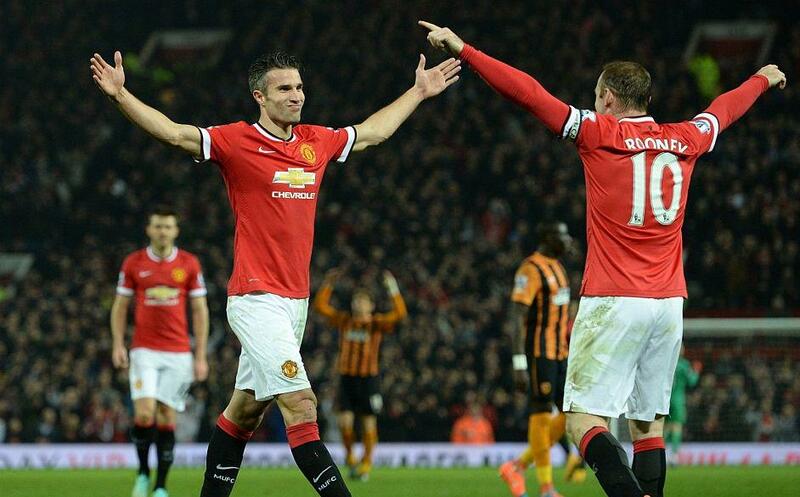 Liverpool got back to winning ways, Manchester United were on fire against Hull and much more. Recap all the action below. Stoke City's search for a league goal at Anfield for the first time in 31 years went on as a goal from the most unexpected, Glen Johnson, provided a huge win for the Reds. Mostly turgid, the game was balanced without either side really pushing forward in an attempt to seize the game — and some senses of frustration were settling in at Anfield. But, as Liverpool began to pile the pressure, Rickie Lambert's looping header was followed up by a determined Glen Johnson risking it all as he surged to meet the header. It found the back of the net, Liverpool lead but there was no time for the full-back to celebrate. Down in a heap following the goal, Johnson received treatment for a cut on his head. He would come on though to contribute to the Reds' final defensive efforts. Bojan's sizzling shot was well stopped by Mignolet, the corner was caught and they saw out the clock to the jubilant cheers of the Anfield faithful. They had finally won. Charlie Austin made the difference in an extraordinary five-goal thriller as Queens Park Rangers thwarted fellow-promoted side Leicester City. Esteban Cambiasso guided in from the edge of the box to score Leicester's first goal in five games, but Wes Morgan forced the ball into his own net to even the game. Leroy Fer then scored from close range to give the hosts a lead. They would hang on to this before Schlupp pounced on Vardy's shot that hit the crossbar to make it 2-2. Frantic in the box, Leicester blocked two attempts, before the ball sat up for Austin to head home the winner. Danny Ings rescued a point with a late penalty against Aston Villa in Turf Moor. Joe Cole scored for Aston Villa as he guided it past the oncoming Tom Heaton. Aston Villa were holding onto the lead until the very late stages. However, Burnley were awarded a penalty when Jutkiewicz was taken down by Okore. It was down to Ings who fired ferociously into goal. Jedinak scored again for Crystal Palace as his spot kick tugged away a point from Swansea. A dominant early start from the Welsh side eventually saw Wilfried Bony shot into the bottom corner putting them ahead. But less than ten minutes later, Jonjo Shelvery was penalised for a foul on Chamakh, allowing Jedinak to composedly dispatch the equaliser. Chances after would come few and far between, but when they needed to, Palace produced the resistance to keep them at bay, resricting creativity of the Swans. Goals from Wayne Rooney, Robin van Persie and Chris Smalling guided Manchester United to a statement-making win over Hull City. An unexpected opener came in the form of Chris Smalling who prevailed from a scramble in the box for the early goal. His compatriot Wayne Rooney would double the lead, as Van Persie squared it across for a formality of a tap in. In the second half, Robin van Persie blasted into goal on the edge of the box to dismiss critics and put the Red Devils on cruise control for the remainder of the contest. West Ham ended Newcastle's hot wins streak as a lone goal from Cresswell lifted the Hammers at home. He struck home before the hour mark, ultimately being the winner. Newcastle had no response after going down to ten men via the dismissal of captain Moussa Sissoko. Ayoze Perez had a string of late efforts but was unable to deliver. A complete overview of the 3pm games in Week 13 of the Barclays Premier League.